Once more I’ve spent the day with a group of teenagers who have reminded me of how Church really should be like all the time…Well, maybe not exactly all the time but certainly their enthusiasm and delight in engaging in outreach in word and deed made me yearn for the whole of the church to also make mission it’s modus-operandi. Over 100 of them gave up their October half term to spend all day Monday to Friday learning about and then seeking to show and tell the news of Jesus. Today I had the privilege of teaching them about Listening to God (and having a load of fun along the way) and then I visited some of the projects too… I joined a team who spent the afternoon treasure hunting, another team who had set up a sofa and giveaways outside a shopping centre and then joined a youth cafe team right in the heart of the city. All good, vibrant stuff. There were also other teams doing worthy outreach projects like painting old buildings and helping run a holiday club for younger children. Baptist minister and youth ministry specialist Ricky Rew did a fine job of coordinating all the teams over the city. The whole of the church needs to follow the leading of our young people: all of us needs to be willing to be church in such a way that let’s ‘others in’ to the wonders of the christian faith. All of us need to, for the sake of this world, take time to intentionally share and show the gospel. Thought you might like to read the following! Thanks for posting this! 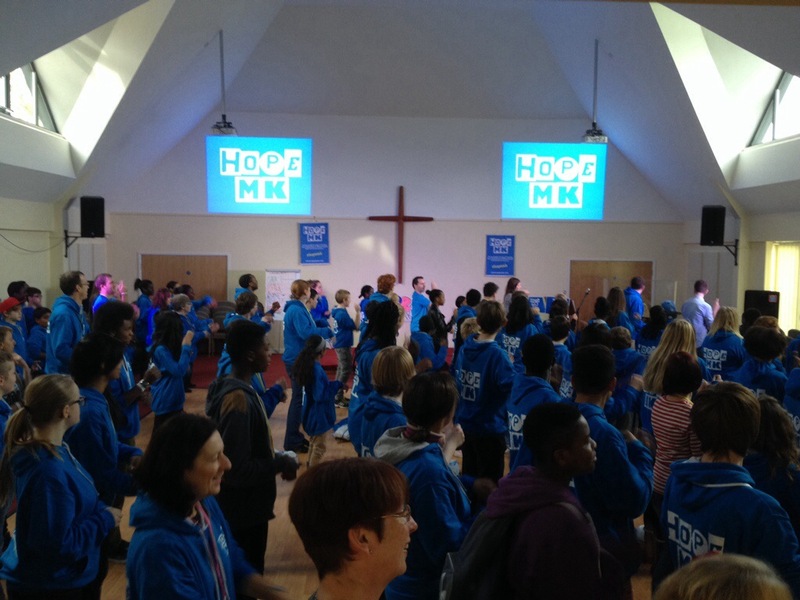 It is really encouraging to see the fantastic work going on in the churches of MK to get people enthused for Jesus! Thanks Chris – brilliant to have you & Sue with us last week. We share your excitement about the awesome commitment of these young people & share your passion for church to be more like this! 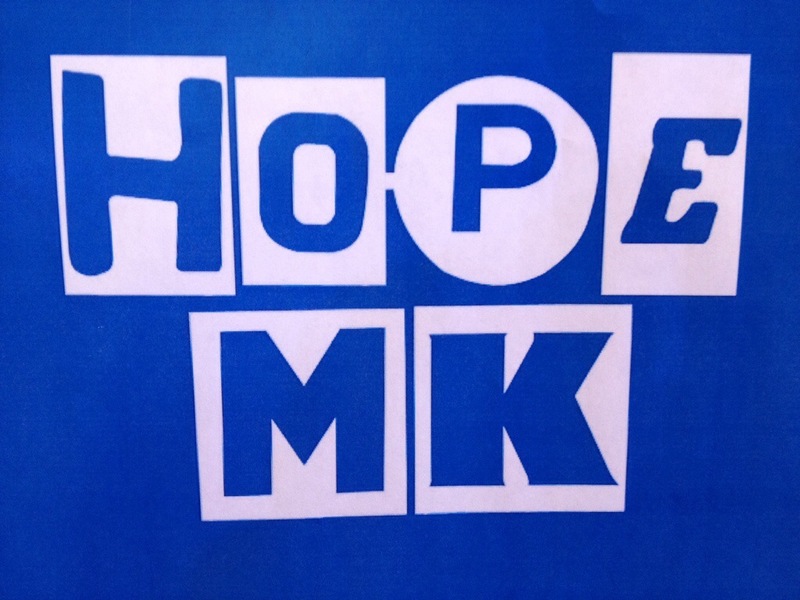 I appreciate your kind words, but want to point out that Rosie Harriott & Pat Kerr are my partners in crime in planning & coordinating Hope MK – they’ve invested as much of themselves in it and have worked just as hard over the last year. Hey! Wow, I can’t wait to hear about the trade up challenge! Chat soon hey?